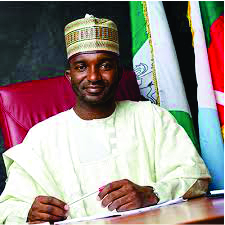 Senator Abdulaziz Nyako has come under attack from the Concerned Hong Constituents over his campaign against Gov. Umar Jibrilla Bindow ahead of the 2019 general elections. In a strongly worded statement signed by its General Secretary, Stanley, on Saturday night, the group said Nyako was trying to deceive Adamawas again with “rhetorical and platitudinous speeches”. The statement came barely 24 hours after Nyako Abdulaziz’s voice featured in an audio which he boosted that political platform to be deployed to unseat Bindow/Buhari in 2019. 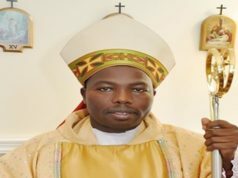 Concerned Hong Constituents, a staunch supporter of the current Governor of Adamawa State, said it was not surprised by Nyako’s several statements to hoodwink Adamawa people and Nigerians. The socio-political group said it rather found it surprising that Senator Nyako and his “fellow travellers took Nigerians for fools”. 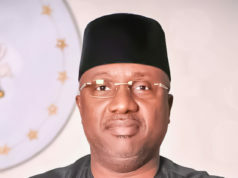 It said, “However, Adamawa Citizen do sincerely and mournfully remembered what the conditions of things were in relation to unemployment, corruption and general decadence of our many institutions of governance in the 7 years of the immediate administration in Adamawa State, cannot be forgotten in a hurry.